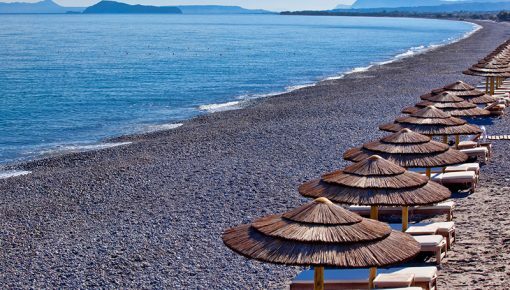 Platanias beach is located in the homonymous village 11km west of Chania, Crete. The area has grown so much that now is essentially a suburb of Chania. 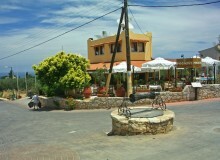 Platanias village is built on a hill with fantastic sea views. On summer evenings, the large entertainment area flooded with people, Greeks and foreigners, who have fun until the morning. 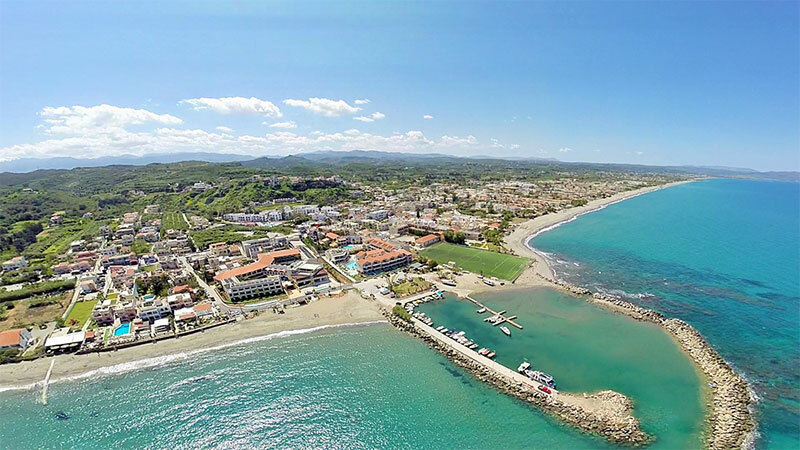 Platanias is one of the most popular tourist resorts in Crete and is so close to Agia Marina beach, which have essentially merged into a single large tourist area. 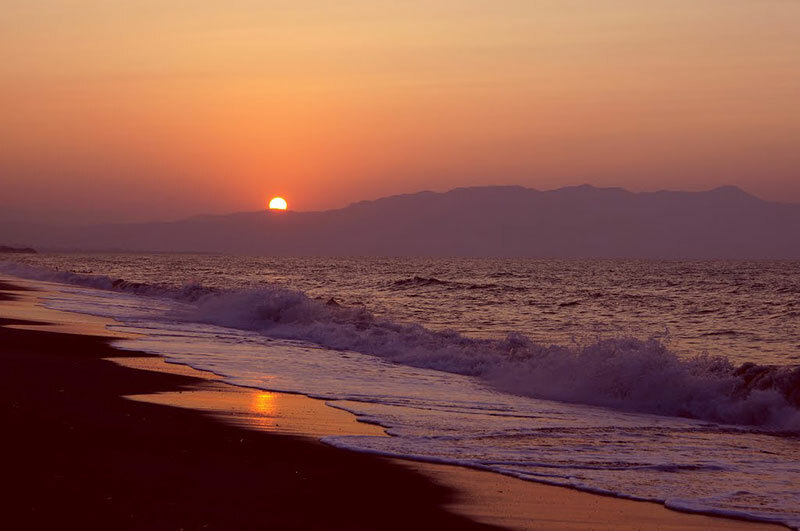 The area around Platanias beach is ideal for those who want to spend their holidays by the sea. 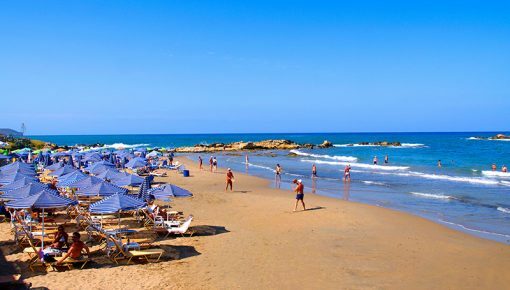 One of the biggest beaches in Crete stretches east and west from Platanias in length that reaches a total of 7 km. The beach is a lovely, well-organized huge beach, offering bars, umbrellas, showers, canteen, water sports etc. On windy days, you can enjoy swimming, east of the local harbor, near Agia Marina. There are consecutive artificial creeks, which provide protection from the waves. 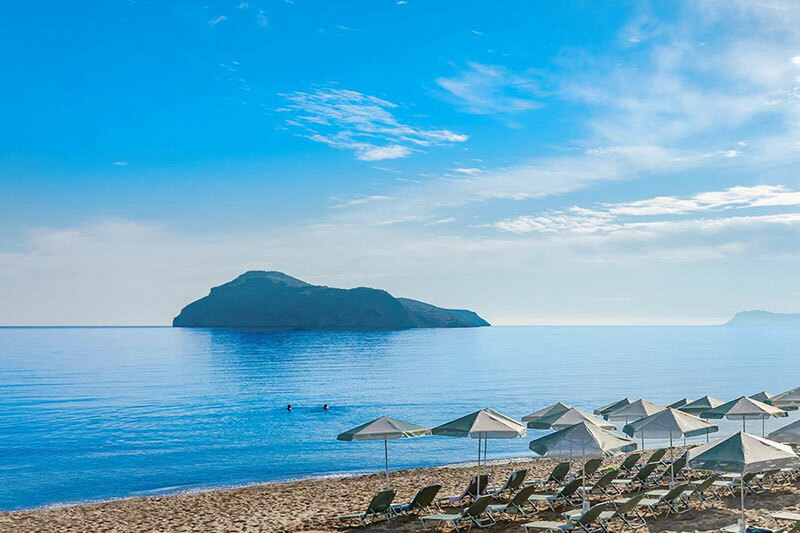 Platanias is the ideal destination for people who like the frenetic fun, but nevertheless you will see many families with babies and young children to enjoy their vacations because it is a place that offers everything. 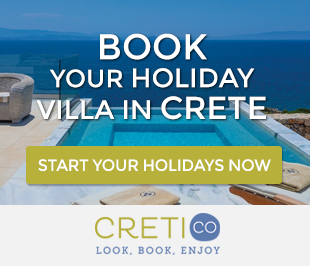 Villas in Platanias are offered in a great variety. If you choose a villa in Platanias, you will have a number of facilities, easy access to the beach and wonderful sea view. You can get there by following the National Road from Chania to Kissamos. Leaving the highway you will arrive at a large crossroads and opposite you will see a sign pointing to Platanias and Agia Marina, and a second one to Maleme and Kolymbari. Turn right on and after one kilometer you will see the sign welcoming you in Platanias. The walking distance from the city center, the wonderful beach and regular bus service, have made Platanias beach the most popular near Chania. Posted on 10 Jun 2015 in Chania and tagged Agia Marina, Beaches In Chania, Beaches In Crete, Platanias, Stalos.